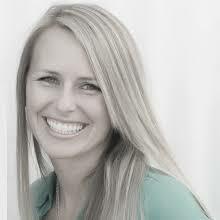 I am Monica Knight - Your local Boise, Idaho realtor with a personal touch! I am partnered with my husband Mark and together we having been involved with Real Estate for more than 25 years. We started out in our early years of marriage buying investment properties, building spec homes and fixing and flipping properties. I have gained a lot of experience and education in that time. Yet, more, than that I know that being real with my clients is the most valuable aspect in this business. By being honest and a straight communicator I know my clients can make the best choice at every turn. I love making the journey in buying and selling a seamless and even fun process. The Boise area is a great place to buy, sell and LIVE! Just like I want my clients to love any home they purchase, I love my own home and it is a great pleasure seeing other people find out how wonderful living in a great place can be for their life and family. Outside of Real Estate I enjoy giving back to my community through time spent with local youth groups, the activities of my children in school and sports and local womans organizations. I love experiencing the best of Boise; farmers markets, Boise Parks, winter sports, camping and lake recreation. The beautiful sights, sounds, and seasons of our area are year round. I truly love this area, and I really want to help you get started on the right foot; so please give me a call! I'd love to hear from you and tell you about all the exciting things regarding real estate this year - to help you live and grow for years to come!